A friend who lived in my village, on the site of an old silk factory, reported odd sounds and a wholly unexplained smell of soot. This eerie oddity started me thinking about old buildings as the holders of many generations’ secrets and about the way both spirits and memories can haunt us. What would happen if I placed a modern character in such a house – a vulnerable young woman for whom the past already often seems more real than the present? What strange things might she see and hear? 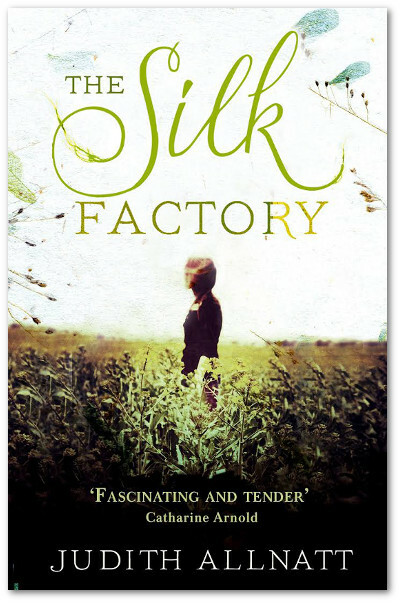 I began to read about the process of making silk: ideas as weird as wafting coal embers above the beds of silk worms to keep them alive during a thunderstorm, the practice of ‘kissing the shuttle’ – threading it with your mouth – that spread disease like wildfire through the work force, nineteenth century child bobbin-winders forced to work such long hours that, too exhausted to walk home, they hid themselves in storerooms to sleep. Still dominating the skyline above the Northamptonshire village where I live, is a huge Georgian garrison, reputed to have been built as a colossal retreat for George III, should Napoleon invade. My research suggested otherwise. In the centre of the midlands, an area where weavers were starving and turning to violence and rebellion, blasthouses full of gunpowder and barracks full of soldiers, had quite a different purpose. 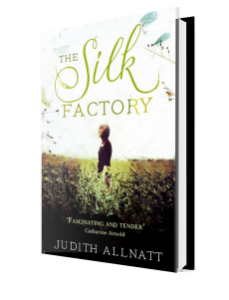 Two stories – of a silk-weaving family living in desperate times and a young woman to whom a strange child appears – began to thread together in my mind, like bright tight-woven ribbons.